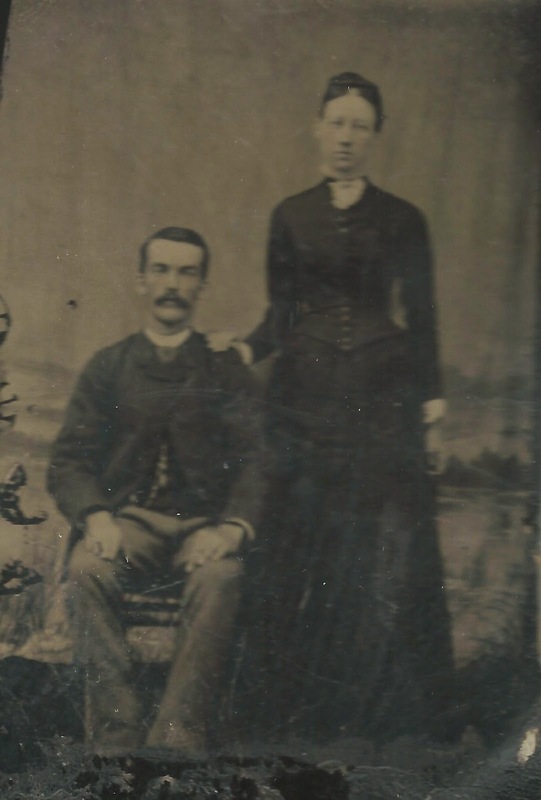 The picture above on the left of George William Kinnaird and Margaret Carruthers was discovered in Grandma's trunk but it was a brown tin type and rather hard to make out. 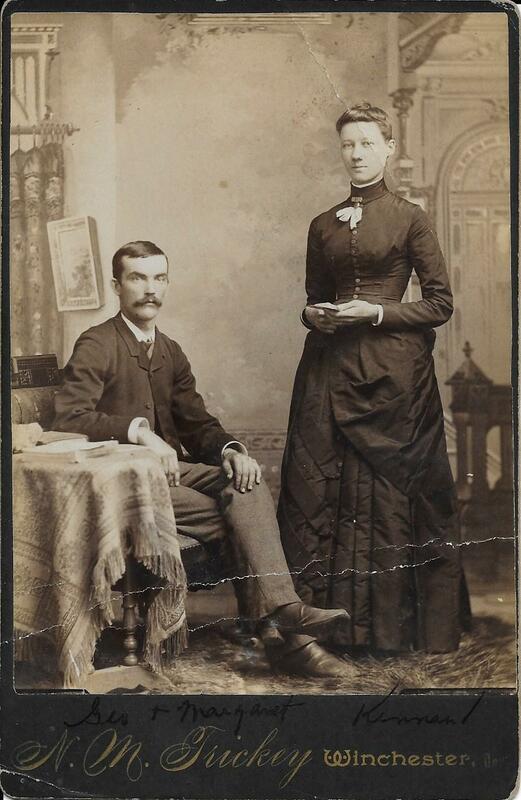 We wonder if it is their wedding portrait from August 8, 1888. The record of this event is below. 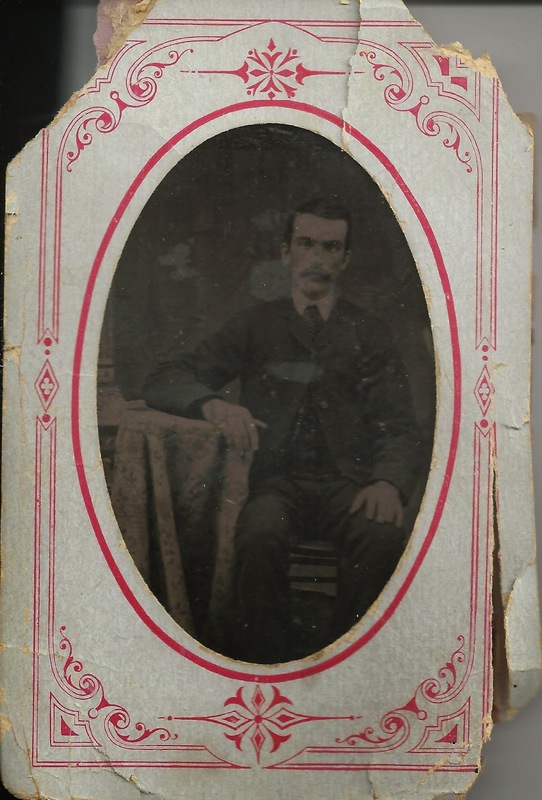 The photo at the right said "Uncle George" on the back and is of the same style. Tin Type photos were popular in the mid 1800's but they were dark and tarnished quickly. The one of George alone was is in a paper frame that has survived remarkably well. Another picture recently turned up in a look through a cousin's album and what a find! The details are so much easier to see and Margaret seems to be wearing the same dress. George is wearing a tie and the setting seems the same as in the picture above of him alone. The background of this one is so sharp and the pleats in her dress even show so well! This picture also showed the photographers name and Google helped with that too. 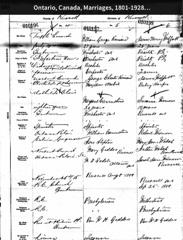 Norris M. Trickey worked as a photographer in Winchester, Ontario from 1888-1904 according to this website . 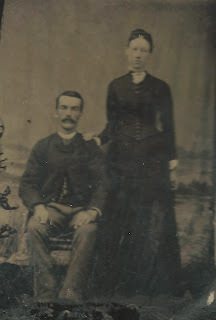 This photo is called a Cabinet Card type and this 4 X 6 size dates from the mid 19th century and onward. Margaret died in 1894 at age 29 of tuberculosis, not long after this portrait was taken I assume. It would have been a cherished remembrance for her family and her two young sons, Stephen and Francis. She has a familiar look to me, so I know her genes have been passed down and remain in the faces of my family today.